The nineth Inspector Ian Rutledge mystery, set in Post-World War I England. Rutledge is called on to prove the innocence of a man he dislikes and distrusts. But the deadly triangle also stirs up memories of the woman he himself loved and lost when he went to France to fight. Hampton Regis, a small harbor town on the southern coast of England, is a most unlikely place for violence. Yet, one spring morning, a man is found on the strand so severely beaten that he slips in and out of consciousness. The prime suspect? His wife's jilted lover, who served with Rutledge in the recently ended Great Warbut who left the Front under a cloud. Badly wounded, yes, but did someone also cover up cowardice? Rutledge is called on to prove the innocence of a man he dislikes and distrusts. But the deadly triangle also stirs up memories of the woman Rutledge himself loved and lost when he went to France to fight. His doubts about the accused and himself only deepen when the victim of the beating mysteriously disappears, with no body to be found. As the brilliant yet tormented detective discovers that he's not the only person seeing a reflection of tumultuous emotions in this case, he must confront the demons that threaten to overwhelm him and search out the truth. For in Hampton Regis hides a vicious killer who intends to let nothingand no onestand in the way. It was a bitterly cold night of frost, the stars sharp and piercingly bright overhead. He pulled the motorcar to the verge and settled to watch the house that lay directly across the black expanse of water. It stood out against the sky, amazingly clear. Even from here he could tell there were lamps burning in three of the rooms. He could picture them in his mind: at the rear of the housethe sitting room, very likely. In the entry, where the pattern of the fanlight over the front door shone starkly against the deep shadows therebehind it the staircase, of course. And one on the first floor, under the eaves. Hampton Regis, a small harbor town on the southern coast of England, is a most unlikely place for violence. Yet, one spring morning, a man is found on the strand so severely beaten that he slips in and out of consciousness. The prime suspect? His wife's jilted lover, who served with Rutledge in the recently ended Great Warbut who left the Front under a cloud. Badly wounded, yes, but did someone also cover up cowardice? It falls to Scotland Yard Inspector Ian Rutledge to find out. 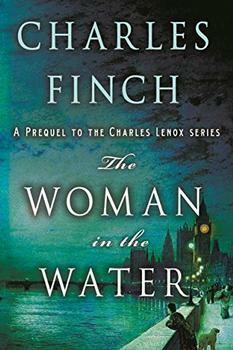 For anyone already familiar with this series it should be a given that the authors deliver a neatly packaged plot laced with psychological suspense reminiscent of Agatha Christine, Arthur Conan Doyle and P.D. James, but what raises the series above the mass of historical detective mysteries are the memorable characters, the subtlety of the plot-twists, the evocative, fully-realized settings and, most of all, the war-damaged, painfully slow-healing character of Rutledge himself. (Reviewed by BookBrowse Review Team). [A] character-driven mystery, which builds smoothly but not simply to a climax that is likely to be a genuine surprise. he revelation of the culprit comes as a surprise owing to multiple suspects with potential motives, but it is Rutledge's tortured soul that will intrigue and engage readers most. The heartbreaking aftermath of choosing either side in the fight-or-flight dilemma...Compelling evidence that inside every warrior who returns from the front, there's a nightmare waiting to break out. Starred Review. The complex, evocative ninth installment in Todd's series set in post-WWI England showcases the pseudonymous author's usual subtle understatement and deft characterization. Charles Todd is the author of ten Ian Rutledge mysteries to date, and one stand-alone novel, The Murder Stone. This USA-based mother-and-son (Charles & Caroline) writing team maintain a strong level of anonymity, even though they appear on many author panels together and Charles is a very active member of the Mystery Writers of America. This chilling new mystery takes readers back to Charles Lenox's very first case and the ruthless serial killer who would set him on the course to become one of London's most brilliant detectives. In her fifth outing, Maisie Dobbs, the extraordinary Psychologist and Investigator, delves into a strange series of crimes in a small rural community.